You could spend hours traversing roads and taking in the sights. Well, that is, until you breathe in and really smell your RV. At first, you ignored it. You grabbed some air freshening spray and blasted the rooms. That worked for a little while. The smell continued to grow, though, and now it’s the point where you can’t ignore it. Air fresheners don’t work anymore, nor does keeping the windows down. It’s time to get rid of those musty RV odors the hard way: with some good old-fashioned elbow grease. These 10 solutions are all homemade, so chances are you might already have everything you need in your RV already. How handy is that? Your refrigerator is perfect for keeping your drinks cold and your food fresh. Its diminutive size makes cleaning its insides a hassle, though. You know you can’t keep putting off cleaning the fridge forever. Even after you gut it, it still gives off a slightly odorous smell, one that’s a combination of all the foods you’ve stashed in there. To do something about it, all you need is baking soda. Grab a bowl and pour in some water. A couple of tablespoons will do. Then, add your baking soda, at least half a cup. With a wooden spoon or similar utensil, stir the mixture together. It should harden up somewhat into a paste. Use said paste to give your refrigerator the deep scrubbing it so desperately needs. 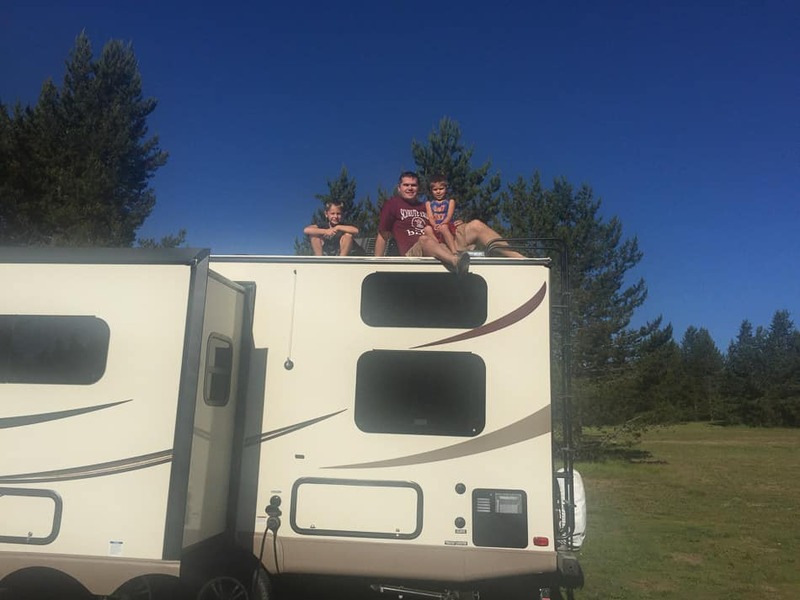 An RV, even the biggest one, is still a tightly enclosed space. Air doesn’t have as far to travel as it would in say, a home or even a small apartment. 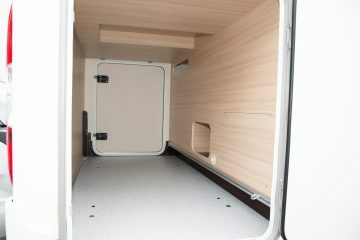 That means that it doesn’t take nearly as much for a smell to build up and become trapped within the motorhome walls. This isn’t your fault at all; it’s just the nature of an RV. That said, you can combat this odor buildup. If you know you’re going to be doing some scent-heavy cooking or other work in the RV, open the windows and vents throughout the vehicle. Don’t skip one, as you want air to be able to travel freely. You don’t have to be driving when you do this, although that does help the odors disperse and leave the vehicle more easily. Once you’re done with the cooking/etc., close the windows and vents again. If there’s any leftover smells, these should be much fainter than they would had the vehicle been closed up the whole time. It’s especially important you remember to close all your windows and vents when you’re done airing out the vehicle. As you drive, your RV releases exhaust. This is a combination of water, nitrogen, carbon dioxide, and carbon monoxide, aka stuff you don’t want to breathe in. 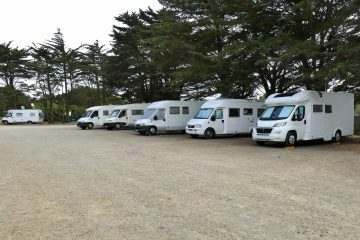 Since your RV is considerably larger than the average car or truck, it gives off more exhaust than said average car or truck. That increases the likelihood of the exhaust smell making its way in your vehicle. Not only is this unpleasant to breathe in, but it can be dangerous for your health (and the health of your passengers). There’s more than exhaust to worry about, but dust as well. If you or a passenger has allergies, exposure to dust can trigger them. That would make any road trip a bad time. When you plan to drive, check your windows and vents before you hit the road. Make sure these are all closed. Carpets may seem like a tempting addition to your RV because they’re plush and comfortable. They also create a relaxing ambiance compared to hardwood or laminated floors. As it turns out, carpets can also be a hotbed for stinky, hard-to-remove musky smells. Think about it: every time you or a passenger walks through the RV with shoes on, you’re grinding dirt, debris, and more into the carpet. If you have a pet on board, their hair will get in the carpet fibers, too. You can always clean your carpet when it begins to get stinky, but this can be time-consuming. Plus, unless you’re willing to get on your hands and knees and shampoo the carpet, you’re not truly getting the odors out. That’s why it’s recommended by many RV owners to forego carpeting altogether. You’re saving yourself time that you’d otherwise have to spend scrubbing the carpet. You can also get away with not having a vacuum (or at least having only a handheld vacuum, which takes up far less space). If you’re not a huge fan of hardwood flooring, you can always buy a few rugs. When these get dirty, you can take them outside and shake them out. 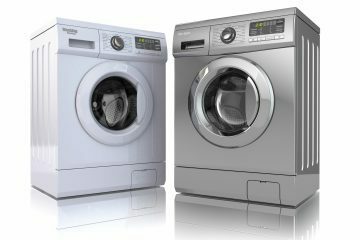 You can also run them through the washing machine to get out odors. The water system in your RV is not impervious to getting dirty. If you don’t clean it at least semi-regularly, you may have the misfortune of sitting down to a cup of coffee or a cold glass of water one day and tasting nothing but sulfur. This water is disgusting and definitely not potable. What should you do? Is it time to throw out your water system? After all, it was working just fine a few days ago. Now what’s up with it? The taste of your water has a lot to do with the quality of the water in the areas you’re traveling. It could be that the water is more sulfuric in the place you’re now temporarily calling home. That doesn’t mean you have to drink and bathe with bottled water. Instead it’s time to give your water system the sanitizing it deserves. To do so, you need water and bleach. Combine equal parts of both liquids. Then add that combination to a container that’s at least one gallon. Refill your water tank with fresh water. Run your pump at full blast. The bleach scent should fill up the room. This is normal though! At that point, turn the faucets off. Your water system should be clean and you shouldn’t have an issue with sulfur again. Remember to make this a regular part of your RV cleaning routine! This tip is dually beneficial. First off, there are so many small spaces in your RV that if food isn’t in plain sight, you can stash it away somewhere and never find it again. Some foods have a shelf life of a few months, especially if they’re processed. Snacks like cereal, pretzels, chips, popcorn, and the like should be fine for a while, as long as the bags are sealed or clipped up when opened. It’s foods like bread, produce, and meats you have to be careful about. These have a much shorter shelf life, often just a few days to a week. If these foods aren’t refrigerated (with the exception of bread), they can go sour even faster. 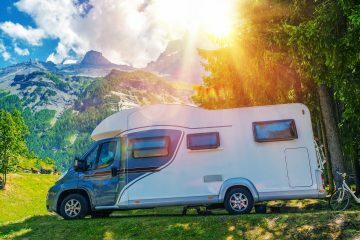 Depending on if you run the air conditioning or heat in your RV, the temperature differences as you travel can sometimes be enough to speed along the rotting process. You do not want to scour your whole RV only to find moldy, rotten food the source of your stinky vehicle. Make it a point to use food as soon as you buy it and stash it properly. Some foods are meant to be refrigerated, for instance, while others don’t have to be. 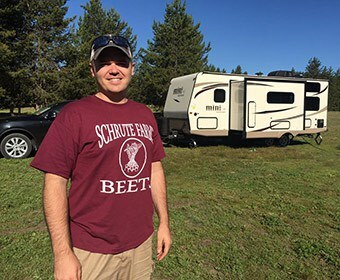 So what about the second reason you need to be diligent about not keeping food in the RV long-term? Rats, mice, and other critters. Although you may like to think your RV is rodent-proof, you’d be surprised. If someone leaves a window or a door open for too long, these persistent creatures will find their way in and start feasting on your food. Rodents leave droppings, and these will stink up your motorhome in a hurry. Also, you’ll have to catch (and possibly kill) the rodent, which is time-consuming and—let’s be honest—pretty gruesome. The bathroom can get filthy in your own home. 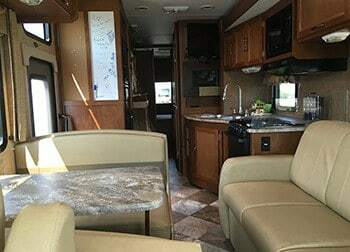 In an RV? Where everything runs on a system of pipes and tanks? Check on your holding tank. How full is it? It should be almost to the top, but not so full that it’s about to overflow. Once you have your gloves on, connect your sewer hose to your adapter. Then, connect the holding tank drain outlet to the adapter as well. Going very slowly (you don’t want to rush in case any waste spills out), release the black water tank valve. Let the waste pour out, and again, take your time. Clean the holding tank (preferably with a permanent-mount black tank rinse system if you have one) and repeat each time the tank gets close to full. Just when you thought you were done with the dirty work, you’re not. Sorry. I talked before about how the refrigerator can be a hotbed for stinky odors. What if you clean the fridge and your kitchen still smells musty? Your kitchen sink drain may be the culprit. You know the drill: food particles and other food waste slowly accumulate in the sink, backing it up with gunk. Now, each time you wash your hands or do the dishes, the sink is very slow to drain. Luckily, this is an easy and short fix that’s not nearly as unpalatable as draining the bathroom’s holding tanks. Fill up four cups of boiling water, a cup of vinegar, and two tablespoons of baking soda. Pour through the drains one substance at a time, adding the water last. The clogging should be solved, and your mystery kitchen smells should disappear. Mold is not only smelly, but it’s horrible for your health. This fungus typically grows in hot, wet spaces, which makes your bathroom and kitchen likely targets. Luckily, by being diligent, you can keep mold at bay. Look for and plug up leaks in and around the toilet, indoor and outdoor hook-ups, sinks, and showers. Clean your sinks and showers often, preferably with water and bleach. When using the bathroom shower or kitchen, keep the vents (and possibly windows) open. This keeps all that stale, humid air from staying in one place and encouraging mold growth. Look at your seals and gaskets. Are these leaking anywhere? Again, this could lead to mold, so patch these up. If you do have mold, you’ll either have to buy a mold remover or call a professional. 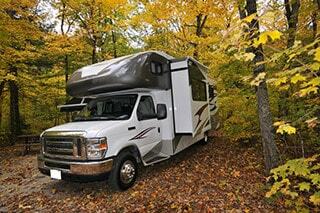 Chances are, you don’t drive your RV throughout the whole year. You likely give it a breather in at least the wintertime. When you’re not driving your vehicle, it’s waiting in storage. The longer it waits, the more unpleasant scents will accumulate. 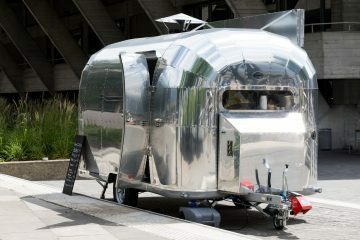 By the time you open your RV doors for the first time after a break, you’ll run down the block pinching your nose. Spray your vehicle down with a deodorizer the moment you open the doors. This should clear most of the bad smells and even mildew! Get vent covers. These fit so your vents can stay open. That means your RV isn’t sitting for months collecting smelly air. 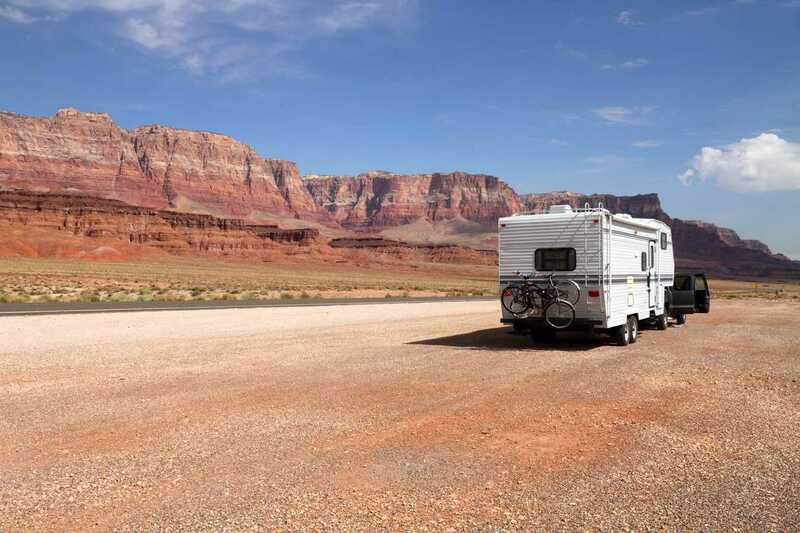 Don’t leave your RV for longer than you have to. Even if you don’t plan on driving it for a few more weeks, airing it out every month or so will prevent any stinky surprises. Your RV is your pride and joy, but you have to admit…it can get a little stinky in there sometimes. Luckily, with these handy, homemade tips, you can tackle any kind of odors that sprout from your RV, be those from the kitchen, bathroom, or any other space. twice to get the smell out!! What is the smell like? If it’s a strong musty smell you may have an unseen mold problem. In our case the solution was to find the leak that is creating saturated sound absorbing underlayment under the passenger side footwell. Remove and replace carpet and underlayment. All the wood cabinets and drawers have a funky smell. Now our clothes smell the same it’s a 37 foot doubletree so lots of cabinets. Help !!! !